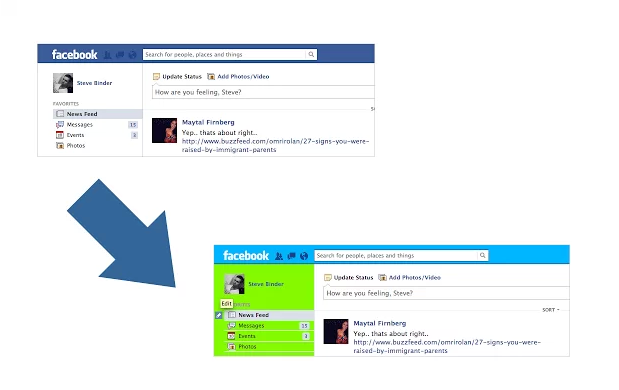 Have you ever wanted to change your Facebook profile theme? if not then this post will help you to get your own Facebook theme for your Facebook profile, yes if you are a type of person who really wants to give some unique touch to their Facebook profile then here is great ways to do this and it’s very easy you can change your Facebook profile theme in so many colors and design for this you will need to install a Google Chrome extension or app in your browser that is free. Just install Chrome if you don’t have on your PC if you already have then you don’t need to install it again, just go to chrome web store and install the extension into your chrome browser after installing this you will get so many cool theme and designs to customize your Facebook top bars and backgrounds, this app has so many cool them so you can customize your Facebook profile with so many colors designs just install this app and enjoy with cool Facebook theme. If you want to remove this app in future just follow the simple steps, go to your chrome settings>Extensions now you can disable or remove the apps here if you want to remove just click on the remove icon and your app will be removed from chrome. If you like this post then share this with all your Facebook friends so they can also enjoy these themes on their Facebook profile.